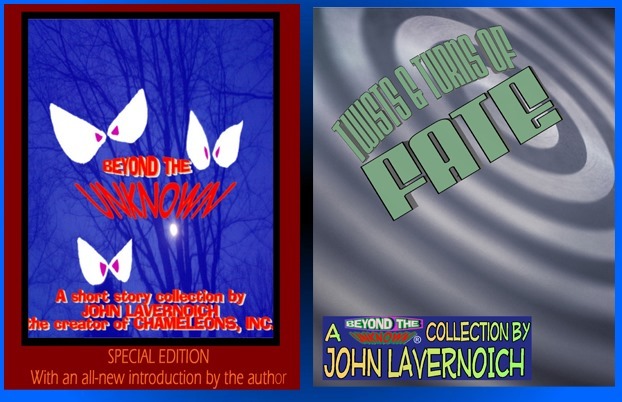 Both Beyond The Unknown: Special Edition (a re-issue of the very first BTU book published three years ago) and Twists & Turns Of Fate (the second BTU book) will soon be available for purchase from not only Lulu Books’ website, but also Amazon.com, Barnes & Noble, etc.within the next week or two. Granted, for right now, both books will be available in only print and PDF formats (the latter format you can only purchase from Lulu’s website) – but for those of you owning E-book readers – don’t worry: the E-book versions of both BTU: SE and T&TOF won’t be long in coming (as soon as I can figure out how to convert the manuscript files for both books to digital format). But that’s not all – there’s several things connected to BTU that’ll be forthcoming – including its own YouTube channel. More on that in the coming days – in the meantime, keep on web surfin’!